At the risk of solidifying my role as the Christian Devotion Writing “Siskel and Ebert,” I am looking at another film today. Actually, this is a direction I am pursuing with some direct purpose as a theme for future publication purposes (thanks for the idea, Jeff). 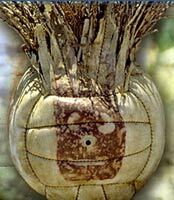 I remember going to see the movie Cast Away at the Court Theater in Saginaw back in the fall of 2000. Specifically, what I remember most about the experience was walking out of the theater thinking how glad I was that I only spent $2.00 on the ticket but still wishing I could have those couple of hours back. No – it wasn’t my favorite movie, and I hope that when Robert Zemeckis and Tom Hanks read this devotion, they won’t hold it against me. One thing stood out in the film for me – the relationship between Chuck and Kelly, played by Hanks and Helen Hunt. I was intrigued by the connection that these two had, the love they shared that was so comfortable, compatible, and complete. I recognized immediately that this couple blended well together – that they had begun to effectively develop the higher levels of love that so many marriages never find. I remember the sting that came from the realization that I had never known something that two actors were able to portray as merely an engaged couple (as I said, I didn’t like the movie, I just never fully explained why). So Chuck and Kelly are building a life together, only to have it torn apart by the plane crash. Chuck survives and is stranded on an island for four years before finally escaping through a daring voyage out onto the open seas. Fast forward to his return to civilization. He has come home to find that Kelly has moved on. She has come to grips with Chuck’s “passing,” and married another man with whom she has started a family. Chuck and Kelly meet at the airport – they have that formal, awkward meeting that always happens when couples experience trauma within the relationship. Nothing comes of it because neither of them know what to say. It isn’t until their second discussion that they open up and reconnect. Cinematically, the scene is well done because it leaves the audience hanging for a moment. Will she leave her family for Chuck? Ultimately she does not. Moments later, we see Chuck talking with a longtime friend, sharing his emotions over the ordeal of being stranded, losing Kelly, and starting over. Here’s what he says, taken from imdb.com. Chuck: “We both had done the math. Kelly added it all up and… knew she had to let me go. I added it up, and knew that I had… lost her. ‘cos I was never gonna get off that island. I was gonna die there, totally alone. I was gonna get sick, or get injured or something. The only choice I had, the only thing I could control was when, and how, and where it was going to happen. So… I made a rope and I went up to the summit, to hang myself. I had to test it, you know? Of course. You know me. And the weight of the log, snapped the limb of the tree, so I-I – , I couldn’t even kill myself the way I wanted to. I had power over *nothing*. And that’s when this feeling came over me like a warm blanket. I knew, somehow, that I had to stay alive. Somehow. I had to keep breathing. Even though there was no reason to hope. And all my logic said that I would never see this place again. So that’s what I did. I stayed alive. I kept breathing. And one day my logic was proven all wrong because the tide came in, and gave me a sail. Once he came to the realization that he could not control the situation, that he wasn’t the master of what was to come, things changed. On the island, he realized that fighting circumstance was counterproductive. Instead, he simply needed to stay alive, to keep breathing, to keep going in that walk until something happened that would otherwise change the situation. There was no guarantee, no blueprint and no reason to know that something would happen, but he opened himself up physically, emotionally, and spiritually to that possibility once he stopped fighting and submitted to where he was and what he needed to do. As Christians, we see the true power of the living God at work in our lives when we stop fighting it and just submit. This is hard for some of us. Most people like to be in control – some insist upon it in every situation. For all of us, and especially for those people who must be in control, we need to understand that every attempt we make at taking control of our lives is doomed to fail because our lives are not our own. It’s very much like trying to steer a tandem bike from the back seat – it just won’t work! Walk in the place He has called you to walk, learn the lessons He is providing you, and take comfort in knowing that the lessons you learn are going to benefit you at the time when God is ready to present you with your opportunity. Every person who reads this blog, including Tom Hanks, has experienced a loss. We’ve lost loved ones, relationships, jobs, money, possessions – things big and small, valuable and sentimental. Over time, we learn how to cope with loss, but it never gets any easier. Thankfully, we have a God who demonstrates His amazing love for us through reconciliation and restoration. As we seek His glory, we also seek His will for our lives that in it we may align ourselves with His plan so that we may receive a maximized portion of the blessing He has set out for us. In Him, there can be no loss – all we have to do is keep breathing. These words ring true to me. For many years I fought battles focused upon gaining and maintaining control of my personal life. Unable to achieve it, I threw myself into my professional life, hoping to find purpose and a release from my pain therein. Once I recognized that work couldn’t sustain me, I sought a release from the pain I was feeling in any way I could find it – buying things, trying things, giving up on things, destroying things. Ironically, everything I did to hide the pain simply added to it – like an interest rate on a credit card purchase. Unfortunately, the bill came due and I found myself morally and spiritually bankrupt. My need to control led me down a path that was certain to leave me desperate, damaged, and dead. I had forgotten how to breathe, and I was suffocating. This entry was posted in Devotional and tagged Breathe, Cast Away, Christian Life, Christianity, Control, Devotionals, Forgiveness, Loss, Love, Patience, Robert Zemeckis, Romans 3:23-24, Sin, Tom Hanks, Zephaniah 3:14-20. Bookmark the permalink. Excellent, thoughtful, I may want your permission to use it in a chapel!